Nice panoramic views over the West Penwith coast. Very industrial landscape. Not the most panoramic views, but some nice Scots Pine trees nearby. Small decorated hut nearby. Visited whilst doing a cache series around Devils Dyke. An interesting spot with pretty good views. Visited this trig whilst walking along the Seven Sisters to Eastbourne. Very misty, so not much to see. Walked up here from the nearby YHA. Very rainy and misty climbing up to this one. Mist obscured all views, and top was quite wind swept. I imagine it's nice here on a clear day. Made a short detour from the Herepath. Last 50m through the trees, but trig hidden from path, so had to rely on a bearing. Lots of moss and lichen on trig, presumably as it's only ever visited by trig baggers. No views, but a nice secluded location. 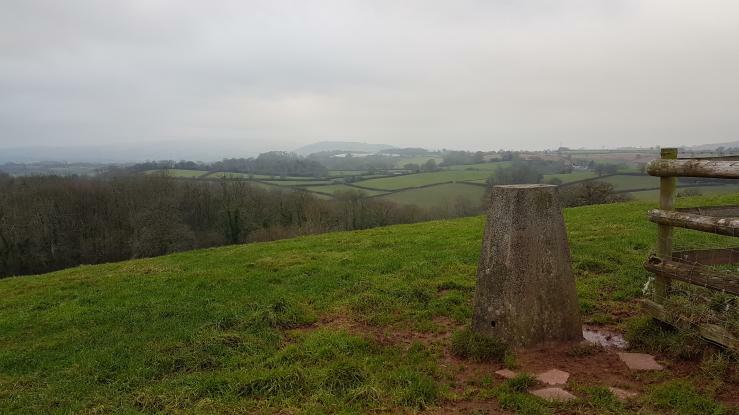 Visited on a circular walk via a few of the other nearby trigs. Not really an views from the trig itself, as it's slightly engulfed by the woods. Nonetheless, a nice spot. 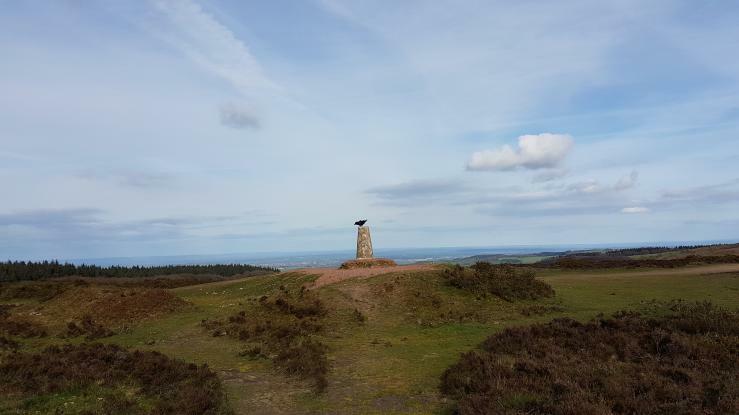 One of the better Exmoor trigs. Views a little obscured by forest to one side, but otherwise good. Visited this one as part of a circular walk from Minehead to Bossington, and then back along the coast. Fairly high wind chill on top, but nice coastal views. Ran out to this one on a circular route via Watchet and Williton. Vaulted a gate to the NW and made the steep climb up a quite rutted field. Lots of ivy on pillar, but bracket still visible. A strange trig indeed. Not an easy one to spot as it has been obscured by the sea wall. Appears to have sunk into the sand, so not a huge amount visible. Flush bracket presumably on one of the sides that's obscured by a wall. Otherwise, nice views of the estuary. No clear footpath to the top. Managed to scramble up the side through the trees to the east. Bit of a view from the top, but mainly obscured by trees. Lots of quarry workings nearby meant it was quite a noisy spot. Nice panoramic views from this one. Top of the pillar has a chunk missing, and NT plaque on the front has air rifle round damage. Not too far from the road and parking spaces. Trig in the side of a hedge, but can be easily accessed from the road. Nearby ROC post has unfortunately been burnt out. All that's left is a bed frame, the door and some graffiti. Cycled up here before heading down to the lake. A nice trig, with good views of the lake. Nice panoramic views on a peninsula, plus a nearby fort. Whats not to like. 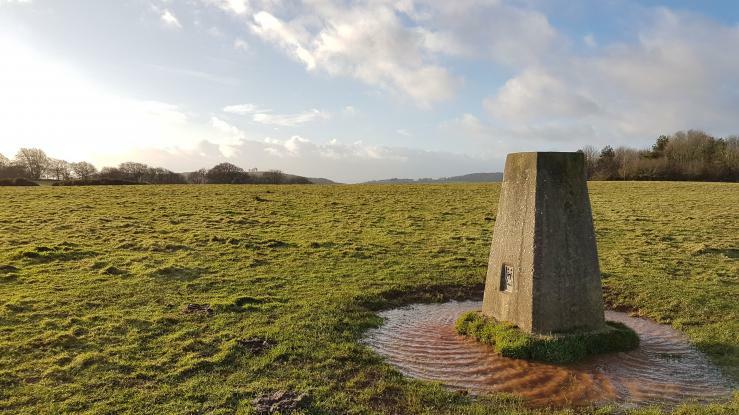 This trig is also part of a geocaching puzzle, so 2 reasons to visit here. A nice trig on a peninsula. Just a shame the water is so muddy around here! Trig on edge of a field. High hedges meant there are minimal views. Very overlooked from house and no way to trig without trespassing. 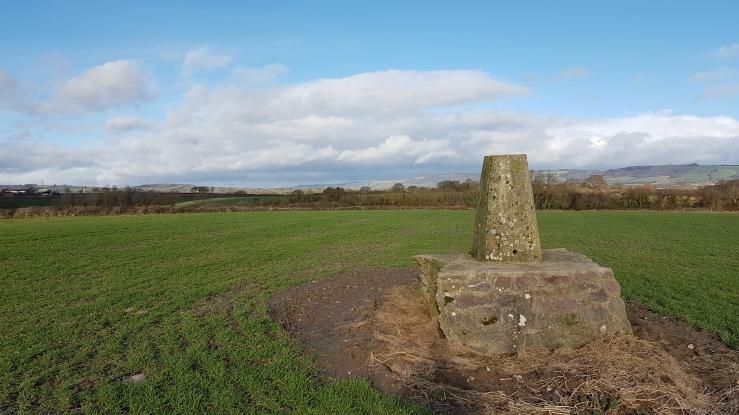 Approached the trig from a field gate to the east. Not the easiest to get to. Ascended on the tourist track via Little Man, and then descended via Carlside. Very windy up here, but very good visibility. Nice views but quite busy. A nice trig in the middle of Grizdale forest. Great panoramic views. I've never seen a trig pillar made out of slate before! A bit of cloud, but otherwise great panoramic views. Hopped the gate to try and get a closer look. The top of the trig is still visible, but the bank it is part of is very overgrown. Can't quite touch it. A very nice trig, although the pillar itself is a little damaged, with signs of graffiti on it. Lovely panoramic views from here, plus there is a logan stone. Could see the trig from the road, but couldn't find a clear path to the summit. Hopped a fence to try and get to the top, but came face to face with a very large bull! Retreated back to the road. Nice panoramic views, multiple paths to the top, but some are quite overgrown. Multiple quarries on flanks. The snow has finally cleared up, so I took the opportunity to go for a run. Path up to this one is very overgrown. Out on the downs doing a cache series and stopped off to bag this trig. Nice views. Found the nearby cache, which was the main reason I came to this location. Thanks to the cache info page, I was able to find the only footpath leading to the summit, although the route is not very direct. Just getting into trigpointing, so decided to pay a visit to some of my local ones. Field was empty, so was able to hop the fence. Set a course for this one prior to going out for a run today. The field was empty, so quickly cut across it to the trig. The first visitor of 2018! Out for a walk around Broomfield hill getting some geocaches. Made a short detour and hopped the fence to get to this one. Found whilst doing a nearby cache series. A light dusting of snow on the group. Visited this one many times, but only recently got into trigpointing. Visited this trig many times over the years. Logging my most recent visit. A nice trig. Visiting this area to grab some of the caches. Couldn't quite climb up onto the pillars plateau, it was a bit too high for me. Did not actually realise this was a trig! Penwith's Mountain?? Found with the uni hiking group. I was conducting some field work in the area and made a quick detour up to this trig. The penultimate trig of a day hike around Northern Dartmoor. The sun is just starting to set :). A very picturesque trig. The first of our day hike. Beautiful views from this trig. I have visited before, but am logging my last visit, which was with the university. Bagged whilst doing my Gold DofE. The highest point of the Pentland Hills. Although it was a bit too windy for my folks to appreciate this! Almost dark by the time we reached the summit of the highest point in England. 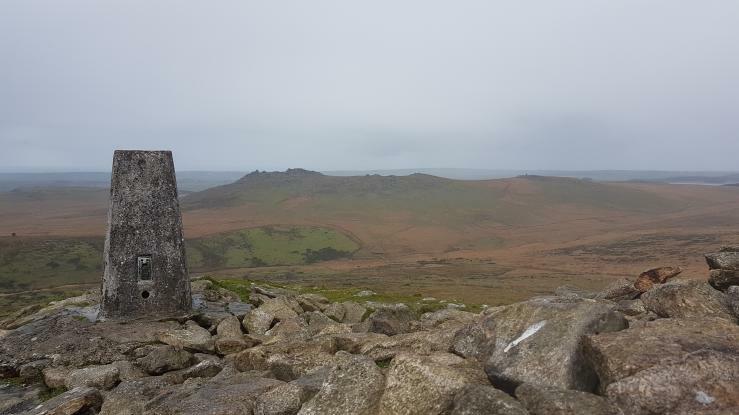 The 2nd trig reached during the 3 peaks challenge. The final trig of the 3 peaks challenge. Visited before, but last time there was thick fog at the summit. Luckily the views were amazing this time. How could I rate this anything other than a 10! Visited whilst undertaking the 3 peaks challenge.